Ask any driver what they think of bicyclists, and you may get some not-so-nice answers. To many motorists, anyone peddling on the roads is more of a distraction and a nuisance than anything else. No matter what you think of cyclists, however, you still have to have the road with them, which means you need to know how to stay safe. By keeping these three tips in mind, you should be able to expertly navigate the roads while still allowing cyclists their fair share of space. Watching out for cyclists isn't the same as observing other cars. They can move faster in traffic, be temporarily hidden by other cars or follow their own rules of the road. As such, you have to be able to survey your entire surroundings to watch out for bicyclists. Check your mirrors constantly and make sure to look for these travelers behind other obstacles. You should also clean your windows, upgrade your wipers and fix your windshield if a quality boost is needed. Whenever you're in doubt about what to do, defer to the safest possible option. Slow down when you approach cyclists and leave a cushion of at least three feet when passing them. Always assume bicycles will be following their own rules – that way, you won't make a hasty decisions that leads to a bad collision. 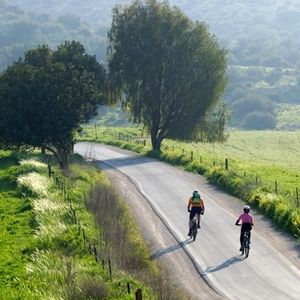 Rules regarding bicyclists are different in each region. For example, in New York City, peddlers are always supposed to be limited to the separate bike path in between the sidewalk and the roadway. There are also variances by state, as some allow bicycles to go through stop signs or even red lights if the traffic is clear, even though normal drivers have to stay put. Learn what the rules are for your area so you know what to expect from these individuals. Are you looking to upgrade from a bicycle to a car? Look no further than New Jersey State Auto Auction. Our lot has hundreds of Carfax-certified cars, trucks and vans on the site, and you can browse through them all until you find the perfect fit. Need even more help? Then turn to our in-house finance department, who are available to navigate all of your loan and credit options. Are you interested in buying a used car? Then you might be in luck. The economic landscape is currently very hospitable to prospective drivers, with low sticker prices, falling fuel costs and other financing options offering plenty of opportunities for savvy shoppers. The Wall Street Journal reported that used car prices have fallen for four straight months. That included August, and with plenty of September sales and end-of-summer specials taking place, the trend likely continued throughout the month. While the cost of these pre-owned vehicles is dropping, it's important to note that it is coming down from historic highs. So although the price of a used car might be less than what it was in the spring, it is likely still more expensive than in past years. Of course, this all depends on what makes, models and model years you're looking at, so there is sure to be plenty of ways to find great value. Buying a used car is just the beginning. Drivers who find themselves behind the wheel also have to be ready to make monthly insurance payments, pay off loans and invest in any necessary maintenance. All of this can add up quickly, which is why you need to be smart about your investment. For example, finding a used car with great fuel economy could save you money in the long run. According to a report from AAA, the national average for a gallon of gas consistently dropped throughout September, and as of Sept. 22 it sat at $3.34 per gallon. This figure continues to fall due to a decrease in demand, as many summer travelers are settling close to home for autumn, and the seasonal switch to less expensive winter oil. All of that may seem like just a lucky break, but it can actually mean major savings for people who get plenty of miles to the gallon. 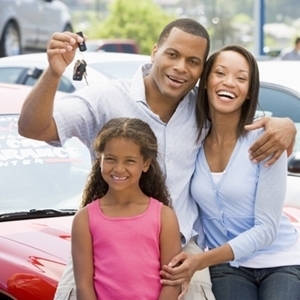 If you're ready to buy a used car, consider turning to New Jersey State Auto Auction for help. This auction lot is packed with hundreds of Carfax-certified cars, trucks and vans – one of which could be perfect for your next ride. It also has an in-house financing team ready and willing to help you wade through the numbers and determine which buying option is right for you. 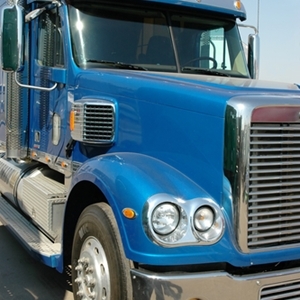 Drivers should know that they need to know how to handle themselves on the road at all times, but it becomes even more important when they are surrounded by large trucks. To convey just how essential this knowledge is, the American Trucking Association's professional drivers are participating in AAA Mid-Atlantic's IDrive program. The main aim of the initiative is to teach motorists about the importance of safety on the roads, particularly when driving alongside trucks or tractor-trailers. "Safety is the trucking industry's most important value," said ATA president and CEO Bill Graves. "We're always happy for events like IDrive which allow our professionals to reach out to the public – particularly young drivers – and convey that important safety message." Everyone who gets behind the wheel should keep these key tips in mind for driving among large trucks. One of the most important things drivers need to do is leave enough space for bigger vehicles. Trucks and trailers are heavier than traditional cars and therefore require more time and space to stop. It also takes them longer to accelerate. To ensure that these vehicles have the room they need to maneuver on the roads, leave a safety cushion of space. You should also avoid cutting in front of trucks or making sudden stops when around them. Because trucks take up so much space, they have larger and different blind spots than typical vehicles. Keep in mind that if you can't see a driver or mirrors, then the driver probably doesn't see you either. By leaving plenty of space around trucks and using appropriate driving signals, you can guarantee that you're communicating with them effectively and providing them time to react. There's no excuse for being distracted behind the wheel. A smart driver knows how to block out unnecessary noise to focus on the road ahead, but unfortunately, it's not always that easy. To eliminate some of the distractions, turn off or silence cellphones and other electronic devices. It also helps to square away some details before you start driving. Fix your mirrors, adjust the seat and choose a radio station prior to pulling out onto the road, which ensures you'll have fewer distractions when it matters. Ultimately, the best thing drivers can do is make sure that their car is safe enough to drive. Keep up with necessary maintenance by scheduling appointments at a local garage, such as the Total Car Care Center at New Jersey State Auto. That facility caters to the public and can help keep a vehicle running at a high level. Teen drivers make up a significant portion of people on the roads, especially now that school is back in session and they have to shuttle themselves to school and extracurricular activities. Before these young drivers can feel totally comfortable behind the wheel, however, they have to get used to the rules of the road – an effort that can be helped by formal courses such as driver's education. In New Jersey, teenagers must complete these classes before obtaining their license. While the process may be a pain for some, it also comes with a slew of benefits that will definitely help drivers in the long run. According to a recent report from the AAA Foundation for Traffic Safety, teens that do not take part in driver's education are more likely to be involved in car accidents. They also accrue more traffic violations than their peers – and the margin is not small. AAA found that completing driver's education decreased the number of convictions by as much as 40 percent. "This research confirms what conventional wisdom tells us – driver education makes a difference," said Dr. William Van Tassel, the manager of driver training programs for AAA. "Despite recent declines in participation, the overwhelming majority of Americans believe new drivers should take part in this critical step of the learning-to-drive process." Luckily for all motorists, New Jersey is one of the states that requires teenagers to complete a driver's ed course. As part of this, a driver must rack up six hours of behind-the-wheel practice with a licensed instructor. Additionally, they must pass a knowledge test and a vision exam. Of course, they also have to present some sort of proof of enrollment for a driver's training course in the state. Is your teen ready to drive? You'll want him or her to have a vehicle that is dependable on the roads and equipped with top-notch safety features. It may sound like a tall order, but you could find just what you're looking for at New Jersey State Auto Auction. The lot has hundreds of Carfax-certified vehicles for you to consider, plus an in-house finance team that will help you figure out how to afford another ride. Recent initiatives have placed the spotlight on the importance of buckling up before hitting the road. Before children can learn the importance of buckling their seat belt every time they get in a car, they have to be firmly secured in a car seat. Kids don't have the power to place themselves in these protective devices, so it's up to you to put in the leg work. Choosing the right seat involves a lot of background research. Look into the history of possible car seats to find one that has a clean bill of health – no recalls, no involvement with accidents or crashes, and recent upgrades if applicable. This is easy with resources form the National Highway Traffic Safety Administration, which recently released a Car Seat Finder Tool that allows users to search for just the right product. "The first step for a parent is finding the right seat and our new Car Seat Finder Tool helps sort through the numerous options in car seats to ensure they're making the best choices for their child passengers," said NHTSA Deputy Administrator David Friedman. There are instances when you'll need the help of a professional for your vehicle, and dealing with a car seat is no different. If it's been a few years since yours was used and you want to get it checked, head to an inspection station. There, a technician can examine the seat for any defects and show you how to correctly use it. 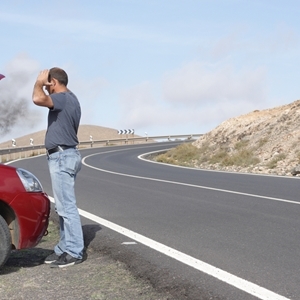 Experts can also help you keep the car running smoothly. Schedule regular appointments at a garage like the Total Car Care Center at New Jersey State Auto Auction to stay ahead of the curve with regard to your vehicle's maintenance. A car seat will only be as effective as you make it. To ensure you're creating the safest environment possible, follow all of the directions included with the device. This includes the installation of the seat, use of the harness and the angle it's set at. Those aren't the only rules you need to remember, either. 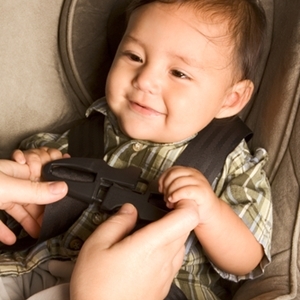 Too many parents move kids from car or booster seats before they're ready. Wait until children are of the proper height and weight before taking the devices out of the car. Fall can be a wonderful time of year. Whether you're a fan of football games or pumpkin spice everything, the season is packed with plenty of fun and excitement – but this doesn't often extend to your car. However, if you're ignoring your ride in favor of apple picking and tailgating, you could be setting yourself up for disaster, as taking care of vehicle maintenance is essential during the fall. "Getting your vehicle ready for winter while temperatures are still mild is a proactive approach to preventive maintenance that helps ensure safety, reliability and fewer unexpected repairs when severe winter weather strikes," said Rich White, the executive director of the Car Care Council. Autumn weather may seem perfect, but you still need to prepare for some extreme conditions. Heavy rains lead to slick roadways, while piles of falling leaves can also cover a surface and make it difficult for tires to get a good grip. To battle against this, you'll want tires with a thick, deep tread. This allows the tire to funnel water away from the vehicle. It also decreases the chance that a stray object or debris in the road will puncture the equipment, causing a blowout and potential loss of control. You already know that speeding leads to some major problems. If the roads are slick, it could even put you in some dangerous situations. 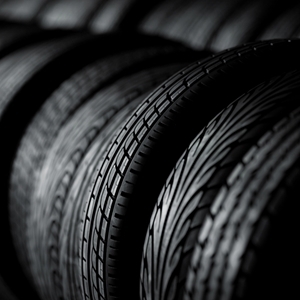 To stay safe – and protect your tires – you must remember to slow down. It's going to take you much longer to come to a complete stop. 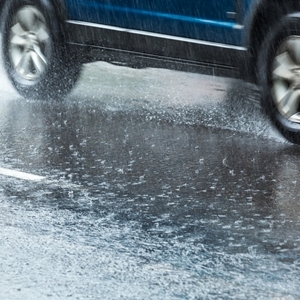 In fact, wet surfaces could quadruple the amount of time and space normally needed to brake. By reducing speed, you're not only being safer, but you're also reducing the stress on your tires and other gears. Perhaps the most important thing you can do is ensure that all aspects of your car are functioning properly. Luckily, the team of experts at NJ State Auto's Total Car Care Center can help. This garage caters to the public and can address any issues you may have, getting your vehicle ready for fall and winter weather. Having extensive car repairs done to your ride can be a pain, even if you find a great garage to take care of your needs. For example, while New Jersey State Auto Auction offers the Total Car Care Center for the public, it would be much easier to simply organize regular appointments with the crew there rather than rushing in with extensive damage. To avoid costly damage to your vehicle, dedicate yourself to maintaining the car throughout your time as owner. By paying attention to these three areas, at the very minimum, you can decrease the odds that you have to empty your wallet to fix a problem later on. There may come a time when a small pebble or stray object gets flung at your windshield, causing a tiny crack. At first, this may seem more like an inconvenience than anything, especially if the mark is outside of your normal field of vision. However, a seemingly miniscule scratch could quickly expand, obstructing your view and branching off into more cracks. Instead of letting it spread and having to replace the entire windshield, get it patched up for much less. Your tires require a lot of care. It's not just about checking the tread and air pressure, or replacing them as necessary. You also need to be regularly rotating and aligning them. Proper rotation ensures that all tires are wearing at an even pace, which in turn avoids poor driving performance. For example, you could find that the car begins to drag or pull to one side while on the road, which could be a sign of poor alignment or uneven wear. Although this could be a simply annoyance in the beginning, it could lead to more problems or expensive repairs down the line. According to a report from CarMD, the No. 1 reason a car's check engine light turns on is due to a problem with the oxygen sensor. It could be an easy fix, but if left unattended, it may lead to a 40 percent drop in fuel efficiency – adding even more money to the cost of repairs and gas. To prevent this money pit from opening, take your car into a shop soon after the alert comes up and spring for a sensor replacement if necessary. There's an unfortunate stereotype that people from New York and New Jersey have a bit of an attitude. While we won't stipulate about any kernel of truth behind these rumors, one organization decided to see if the dramatic edge extended to the roads. Plymouth Rock Assurance recently conducted a study that examined instances of road rage in New Jersey. According to the data, a whopping 99 percent of drivers throughout the state have witnessed at least one incidence of road rage. In most cases, the anger manifested itself in the form of honking horns, but swearing, making obscene gestures and flashing headlights were also common, with more than half of respondents reporting that they had seen these behaviors. Only 11 percent of people had ever seen drivers physically engage with each other, while about 35 percent stated they had witnessed some kind of "uncontrollable anger." However, a large number of motorists said they saw other types of behavior that may ignite an angry reaction. For example, about 96 percent said they saw people disobeying posted speed limits on highways, 89 percent reported drivers changing lanes without using signals and 59 percent saw others use insulting gestures, according to the study. 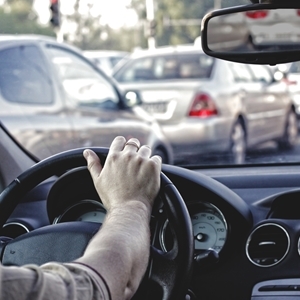 "Considering the legal and potentially fatal consequences of aggressive driving behavior, the frequency and types of actions reported in our latest study are unsettling," said Gerry Wilson, CEO of Plymouth Rock Management Company of New Jersey. "We also found that nearly half of New Jersey drivers are concerned about their safety on our roads – we want those drivers to know that they are not alone and that there are ways to deter and avoid road rage." Just because anger is so prevalent on the roads doesn't mean you have to fall victim to it. Plymouth Rock Assurance recommended avoiding eye contact with other drivers on the roads and breathing deeply to stay calm, even in stressful situations. You can also avoid infuriating scenarios by making sure your car can handle any and all circumstances. Getting headlights and taillights fixed, checking turn signals and ensuring that the vehicle can reach highway speed are all important tasks, and they also have an added bonus of helping other drivers as well. Schedule an appointment at NJ State Auto Auction's Total Car Care Center is you notice that some area of your car needs a little attention. No one wants to think that they'll be involved in an auto accident. But while it may seem like an unlikely scenario, in reality there are a number of factors that could cause you to collide with something or someone. Regardless of who or what is at fault, there is a certain protocol you should follow in the event of an accident. You've likely heard the phrase "You have the right to remain silent" hundreds of times in movies and on television. While you may not be getting arrested after an accident, it's a good idea to keep the mantra in mind anyway. Blaming someone right away – or worse, admitting your own fault – could come up again should the situation go to court. Rather than say something you regret, don't comment on the accident at all. Check in and verify that any other parties are physically OK, and then move on and mind your own business. Once you've checked that all involved parties are physically fine, it's time to do the same to your vehicle. Even if you don't see any obvious damage, be sure to document everything with pictures and possibly video. Smartphones are a huge help in this regard, as it's easy to snap a few photos and save them in case the images are needed later on. You should also take pictures of any bodily harm. The smallest scrapes or bruises could wind up being important, so be thorough in your investigation. Don't limit the photos to just your vehicle either – snap a few of any other involved cars, just in case. Taking pictures is part of the process of collecting information, but there is definitely more to it. You must exchange details including names, phone numbers, addresses and insurance information. Any police officers or claims workers called to a scene will get the 411, but keeping it for your own records is a good idea – as well as a solid backup plan in the event something goes wrong. The damage from accidents can range from innocent fender benders to a completely ruined vehicle. Whatever the end result, know that you can turn to the team at New Jersey State Auto Auction. The lot here has hundreds of Carfax-certified cars, trucks and vans, and one of these vehicles could be right for your next purchase. We even have an in-house finance department, which is ready and able to help you pay for the investment. The dog days of summer may be in your rearview mirror, but the threat of major storms and natural disasters is just beginning. Hurricanes can strike New York and New Jersey area throughout September and October, and the arrival of the fall season means that other rainstorms and even blizzards are on the horizon. Mother Nature may have a mind of her own, but you can still come up with a few ideas to try to thwart her. If you don't have a personal weather machine handy, however, you may have to settle for taking action to prepare for the worst. The Car Care Council cited a few areas that drivers should make sure are up-to-snuff before nasty weather hits. Near the top of the list are tire tread and pressure, as they are needed to grip slick or icy roadways. Similarly, motorists should have their brakes serviced. You never know what a storm will throw at you – literally or figuratively – but having the brakes checked out can ensure you're ready to stop at a moment's notice. "Emergencies and natural disasters come in a variety of forms, and you don't always have time to prepare," said Rich White, executive director of the Car Care Council. "It is important and gives you peace of mind to know that your vehicle is always ready for the task." You might not be able to control the weather, but you can control how you react to problems. Your response starts with having an emergency kit ready to go in your car. The most basic pack should have a flashlight, jumper cables, an area map and a first-aid kit. More prepared individual will also have blankets, nonperishable foods and bottled water, along with road flares, which can alert others in the area as to your immediate needs. Kits may come in handy in the event of an emergency, but there are other things you can do to make sure your ride is ready for anything. The team at NJ Auto Auction's Total Car Care Center can help. These professionals are able to address any problems you may have with your vehicle, ensuring that every aspect of your ride is doing its job. If all else fails, you can search through the hundreds of options on the lot to find a used car that fits your needs. If you're not a professional mechanic – or even an amateur one with plenty of auto knowledge – then chances are you will end up paying money for some sort of maintenance or repairs. These figures can add up over time. However, there are ways to relieve some of the stress on your wallet so you can spend money on what really matters: yourself. No matter your knowledge level, keep in mind three tips for finding lower prices on all of your car's necessary work. Although you'll still have to pay for basic maintenance, preventative actions can do a lot to avoid larger, more crippling repairs in the future or even dangerous car issues that occur on the road. Keeping track of everything from vehicle maintenance schedules to ideal tire pressure in winter is a handful. That's where the owner's manual can save the day. Few people crack these open as much as they should, but the manuals are a treasure trove of information, so it pays to read some key points. Check out the recommendations for gear replacements, regular maintenance and more. Key areas you should be studying up on include what to do about air filters, spark plugs, brakes, the battery and more. You wouldn't change doctors or dentists every time you needed to schedule an appointment, so why would you do that for your car? Just like anything else, your ride should have some consistency in its life, and that includes the professionals taking care of it. Instead of patching together auto work, build a relationship with a garage like the one at NJ State Auto Auction. Our Total Car Care Center caters to the public and is capable of dealing with whatever issues you may encounter from routine tuneups to major repairs. 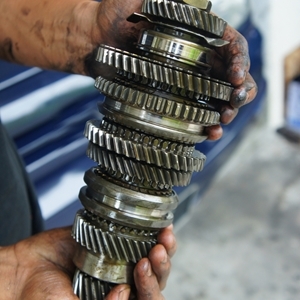 You'd be surprised by the number of problems that may be caused by a lack of oil changes. The oil is essential to the proper functioning of your engine, and staying on top of your game can reduce the odds of major engine damage or the replacement of certain car parts – both of which can be extremely costly. You'll also have to change oil at regular mileage intervals and when the temperature changes, so determine when these sessions should be and plan for them in advance. Few things are as annoying as gas prices. They're up, they're down, and they're always draining your wallet of hard-earned cash. This fall, however, fuel might not be such a money pit. 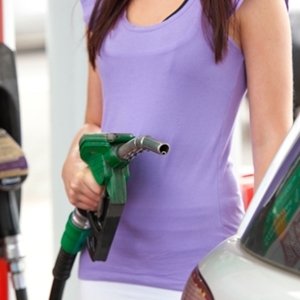 Summer is usually the worst time of the year for drivers with regard to gas prices. Not only are more people driving, which drives up demand, but refineries are also selling a more expensive blend of gasoline compared to the winter months. This can result in a lot of money being poured into gas tanks, and this summer was no different. AAA found that the average price of a gallon of gas in the U.S. this summer was $3.58. That is the fourth-most expensive mark on record and relatively on par with the costs last year. However, there is some good news: After an expensive start to the season, gas prices consistently declined and are poised to drop even further this September. In fact, AAA predicted that the prices could decrease by as much as 20 cents per gallon by the end of October. "The big crunch in summer travel is done and most of us can look forward to lower gas prices during the next few months," said Avery Ash, a AAA spokesman. "If we can get through September without any major refinery or overseas problems, we should see more gas stations drop below $3.00 per gallon this fall." With gas prices and the temperature gauges both falling, it could be the perfect time to embark on that road trip you've always wanted to take. Whether you're heading south to enjoy the Atlantic coast for one last time before winter sets in or want to venture north to check out some of the gorgeous foliage in upstate New York, you may find gas prices are in your favor. If you decide to hit the open road, be sure you've adequately prepared for any circumstance. It is essential to have an emergency kit stowed somewhere in the car in the event you become stranded, and for peace of mind, you should get a tuneup before you leave. Contact the pros at New Jersey State Auto Auction's Total Car Care Center. The garage caters to the public and can address any issues you may have. People in the Mid-Atlantic region are used to seeing deer. Whether these creatures are grazing through a backyard – and maybe even wrecking some gardens in the process – or walking beside a quiet road, there's a good chance they make themselves known to you. This isn't normally a problem, but if you're behind the wheel of a car, things can get dicey. Here are three things you should know about deer – and how to avoid collisions with them. Like most other living things, deer can be creatures of habit. They are most likely to move around at dawn and dusk, when visibility is not ideal. It is also more common to see them out and about in the fall. October, November and December are hunting and mating season, which means deer are frequently on the move and may be more likely to cross roads. "Periods of daily high-deer movement around dawn and dusk as well as seasonal behavior patterns, such as during the October-December breeding season, increase the risk for auto-deer collisions," said Ron Regan, the executive director for the Association of Fish & Wildlife Agencies. Drivers in certain states are more likely to have an encounter with deer than others. State Farm found that motorists in Pennsylvania, for example, have 1 in 71 odds of colliding with these creatures, which is second only to West Virginia. People in New York and New Jersey fared better, with odds of 1 in 154 and 1 in 225, respectively. Odds can vary dramatically within a state as well. A few areas are more likely to have deer present than others. Roads close to heavily wooded areas, recent construction or hunting grounds may have animals moving around in search of a new home, so drivers should be aware when maneuvering their vehicles in these regions. It's up to you to do your part to stay safe on the roads. While many encounters with these animals will be outside of your control, there are some aspects of the incidents you do have power over. For example, make sure you are taking your car to a public garage for tuneups. Places like the Total Car Care Center at NJ State Auto can address any issues you may have – even those involving brakes, headlights and safety technology, which can be incredibly useful in preventing accidents. Are you looking for a used car? Many people are always in the market for a fresh ride, but you need to be aware of some factors that impact the value of a used car – no matter if you're buying or selling. If you're buying a used car in New York or New Jersey, then chances are you'll be purchasing a vehicle that has spent the majority of its life in the NY/NJ area. This is important to know, as the geography and climate a car has lived in impacts its resale value. A car that has spent most of its life dealing with hot summers and frigid winters, for instance, may need specific work done because of the temperature fluctuations, such as battery maintenance. For example, you should use a vehicle history report to determine if a car has had any water damage, potentially from major storms like Hurricane Sandy. It is also beneficial to learn whether a car has been used primarily for driving in the suburbs or in congested city traffic. There are a lot of fads that come and ago, and the hot colors of the season are no exception. To make sure you aren't purchasing a ride with a color that will hurt its resale value, stick to a few classic tones. Bankrate.com noted that trendy shades may seem fun in the moment, but a few years down the line they may be more detrimental to your car's value. Of course, the condition of the vehicle is also something that must be taken into consideration. The quality of the used car itself greatly affects the price, so it's in your best interest to take care of a vehicle so you can keep its value up. Stick to a maintenance schedule, get regular tuneups and make sure you are taking on any necessary auto repair before it becomes a problem. Once you've decided to take the leap and buy a used car, plan a trip to New Jersey State Auto Auction. The lot has hundreds of Carfax-certified cars, trucks and vans from which to choose. You can also take advantage of our in-house finance team, as they are ready to help anyone secure the auto loans they need. Most drivers know they have to stay on top of car maintenance all throughout the year, preparing for the worst of the season ahead. What some don't know is that whatever season just ended may have wreaked some havoc on your ride. So while you should be getting your car checked regularly anyway, it becomes especially important when you're prepping for big temperature swings. That means it's the perfect time to take your vehicle to a local garage, such as the Total Car Care Center at NJ State Auto Auction, for a tune up. 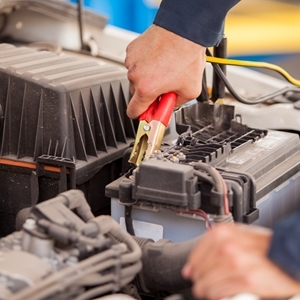 Now that summer has ended, it's time to get your car battery checked. Several months of high temperatures and humidity could have caused problems with this essential part. The Car Care Council noted that hot weather may lead to even more issues than cold, which is typically thought of to be the most harmful. "When most motorists think of dead batteries that cause starting failure, they think of severe winter weather, but summer heat is the real culprit," said Rich White, the executive director of the Car Care Council. "Many battery problems start long before the temperatures drop. Heat, more than cold, shortens battery life." It all occurs because heat leads to the evaporation of battery fluid. That then damages the internal aspects of the battery, hampering its function. Another problem to watch out for is overcharging, where a component inside the battery malfunctions and causes a high charging rate that actually kills its viability. The easiest way to ensure your battery is operating at a high level is to have a professional look it over. However, you still need to pull your own weight and make an effort. First, schedule regular maintenance appointments so you know your car battery is being checked by someone who knows what they're doing. Secondly, you should do your best to always keep the battery clean. Dirt and other debris that gets into the gear can ruin even the highest-quality product, draining its power and posing a safety risk. You also need to do some light maintenance of your own in any weather, including adding distilled water when necessary and monitoring the charge to ensure you are ready for anything. What Are The Most Stolen Cars In The US? Almost everyone wants to have a car that catches the eye of passersby for all of the right reasons. What you don't want is a ride that is going to claim the attention of would-be thieves. 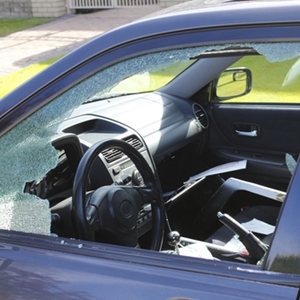 Unfortunately, auto theft is something that a few owners will have to contend with. Those who are smart about their investments, however, can arm themselves with knowledge – and a sweet alarm system – to prevent the worst from happening. The National Insurance Crime Bureau recently released its annual "Hot Wheels" report, which details the most stolen vehicles in the U.S. According to the data, the Honda Accord was the hottest target in 2013, as it was reported stolen nearly 54,000 times. Coming in right behind the Accord was the Honda Civic at 45,000 reported thefts. While Honda might have dominated the top two spots, full-size pickups were also popular choices for thieves. Chevrolet and Ford pickups took the third and fourth slots, respectively, with more than 26,000 thefts each. Also landing on the NICB's top 10 list were the Toyota Camry, full-size Dodge pickups, Dodge Caravan, Jeep Cherokee and Grand Cherokee, Toyota Corolla and Nissan Altima. All in all, the organization predicted that the total number of car thefts fell more than 3 percent in 2013, likely to the lowest point since 1967. Is your ride somewhere in the top 10? Never fear, as there are things you can do to avoid theft. For starters, always lock your car and take your keys with you when you leave it out of sight. You'll also want to have a functioning alarm system and power locks, so you'll never have an excuse for not securing your ride. Another idea is to install some type of tracking device in your car. That way, if the vehicle does get stolen, you'll be able to track it down and recover it, which may significantly reduce your frustration and expenses in the long run. Prospective buyers who want to make sure they are doing everything they can to protect their investment should try to find a used car with a high-quality alarm system. If that's one of the items you're looking for in a purchase, browse the collection at NJ State Auto Auction. There, you'll find hundreds of Carfax-certified cars, trucks and vans that could be right for you. Posted in General Auto News | Comments Off on What Are The Most Stolen Cars In The US? The brakes are one of the most important aspects of your car, but unlike some other parts, these can easily fall by the wayside. In fact, many drivers don't even think about the brakes until something goes wrong or they need to rely on the brakes to save them from harm – and costly repairs. One of the reasons people don't notice brakes until something is damaged is because we expect the gear to operate relatively smoothly. Any strange grinding of the brakes could be a sign that it's time to head to a professional garage. However, there might be a variety of new feelings that you don't remember. For example, the Car Care Council stated any vibrations or odd pulsing is something that should be noted. You should also check if the car pulls to one side or jerks when the brakes are engaged. Between the movies and your own fast-paced adventures on the roads, you've heard brakes squealing before. As much as the noise may make you feel like you're in the middle of an action movie, it's not normal. 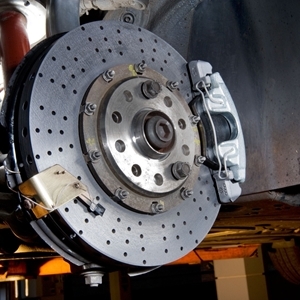 In fact, any noise made by your brakes is definitely strange, and it could be a sign that it's time for replacements. Screeching, squealing, clicking or any other out-of-place sound should send you running to a garage. Most drivers probably haven't measured their car's average stopping distance. If you're one of the millions of drivers who aren't actively monitoring braking habits – and let's face it, you probably are – you have to leave it up to a gut feeling. Does it seem like your car is taking longer to come to a full stop? Do you find yourself pressing harder on the brake for the same effect? If any of the answers to these questions are nagging you, it is best for your peace of mind, and your car, if you have a professional check the brakes. So what do you do if your car's brakes are exhibiting one or more of these signs? The first thing you should do is schedule an appointment at a garage. NJ State Auto has its own facility, the Total Car Care Center, which caters to the public and could address any issues you may have. Feeling the crunch of a tight car budget? Have no fear, because auto loans are available to take some of the stress away from buying a used car – and these financing options are rapidly becoming a popular choice for a large portion of drivers. 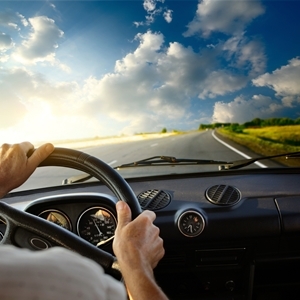 Automotive financing options are making it easy for prospective drivers to get behind the wheel. With a large number of people searching for cars – auto sales in August were at the highest rate since 2006, according to InAutoNews – many are turning to financing. Experian Automotive reported that more than 53 percent of all used car purchases in the first quarter of 2014 involved some kind of financing, which is an increase of nearly 1 percent from the year before. People are also borrowing more money. According to NBC News, the average used car loan now sits at $18,258. That's almost 2 percent higher than it was in the middle of 2013. It also led to the average monthly payments for used vehicles hitting an all-time high of $355. While that may seem like bad news for some money-conscious buyers, it is not a death sentence. In actuality, there are many options for people – even those with poor credit – to find a loan that works for them. "More and more consumers, especially those that are credit challenged, are turning to the used vehicle market as a viable option to purchase their next car," said Melinda Zabritski, a senior director of automotive finance for Experian. According to Experian's data, many sub-prime buyers are taking advantage of long-term loans to land their dream vehicles. But even as a significant portion of loans extend anywhere from 73 to 84 months in length, delinquencies remain low. That means drivers with a variety of budgets are finding ways to keep up with monthly payments, even over an extended period of time. 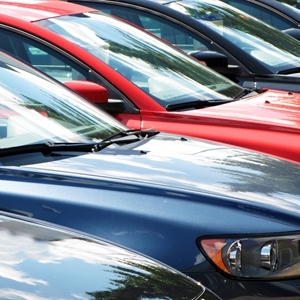 The many options drivers can consider may make purchasing a used car overwhelming. Luckily, there are facilities equipped to help you make the best decision. Shoppers who aren't sure about their best course of action should head to New Jersey State Auto Auction. Not only does the lot have hundreds of Carfax-certified cars, trucks and vans available, but it also has an in-house financing team that can help anyone find a loan.